Watch the Video of Tami & Al’s Radio Interview! 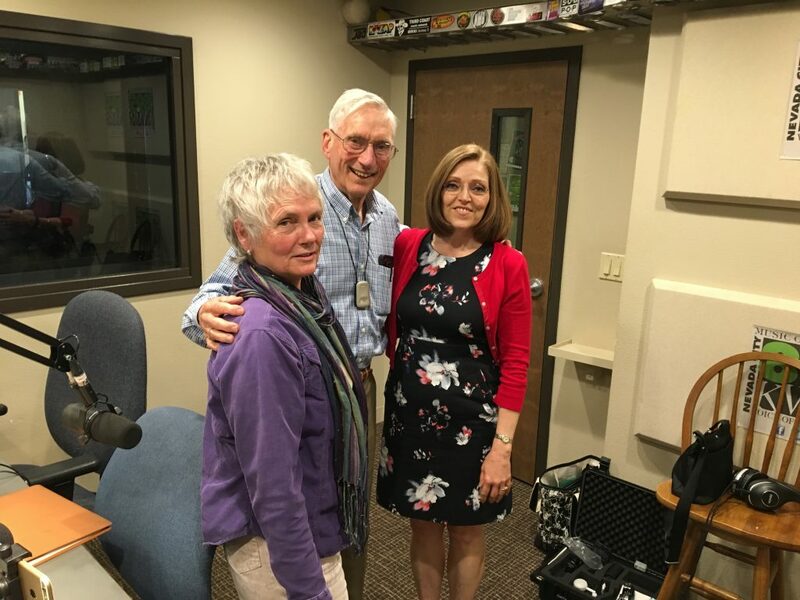 You might recall that a couple weeks ago Al Schmidt and I were guests of Peggy Bean on her SOS radio show on KVMR FM 89.5. Peggy allowed hubby Tom to video tape the interview and post it on our You Tube channel. Al is our 82 years young friend who reversed his heart disease and saved his life by adopting a whole food plant based lifestyle! His story is pretty amazing and will inspire you to do your best and to eat healthy and exercise. If you know of anyone who needs to hear this message please forward them a link to this blog post and video. Feel free to share it on your own facebook page or any group facebook pages you follow. You never know who might see it and I believe it could save lives! Peggy Bean is an amazing interviewer – she asked all the right questions to help keep us on track. I love her radio voice – smooth and gentle. Her SOS radio show on KVMR FM 89.5 is dedicated to spreading the word about veganism and how it has an impact on saving animals lives, helps the environment and done properly can promote better health and prevent many diseases. Thank you Peggy for the opportunity to share Al’s story and spread the word about this healthy lifestyle. Be sure to subscribe to my Nutmeg Notebook You Tube Channel so you won’t miss any of my new videos. Do you follow me on the Nutmeg Notebook Facebook page or Nutmeg Notebook Instagram? If you want to see what kinds of kitchen gadgets and other fun stuff I use take a peek at my Amazon Recommendation Page. When you purchase items through my affiliate links it helps to support the work I do here without any extra cost to you. Thank you for your support! If you would like to read more about Al’s story I wrote two blog posts about this amazing man and exactly what he did to reverse his heart disease. Al’s Story Part One. Below are affiliate Amazon links to the books that Al read that changed his life!